Last time I featured a fragrance on Make It Rayne, it received such amazing feedback. 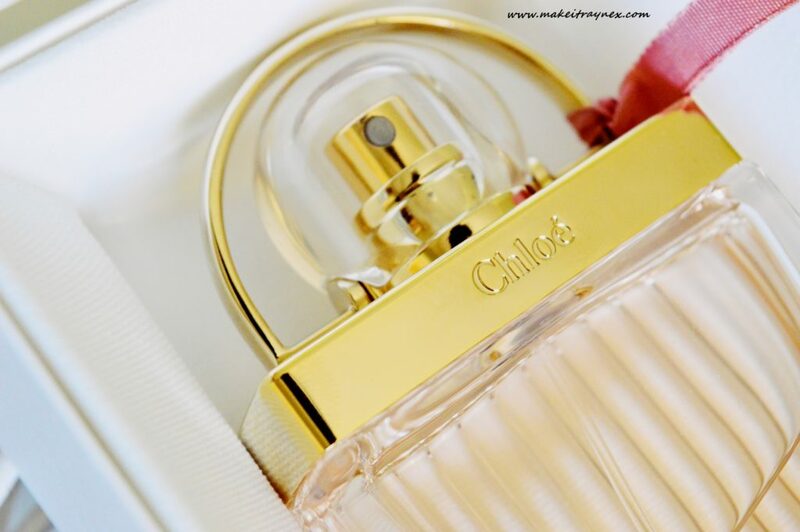 So here we are, back at it again with another perfume and this time I am chatting about the oh-so elegant Love Story Eau Sensuelle from Chloé. 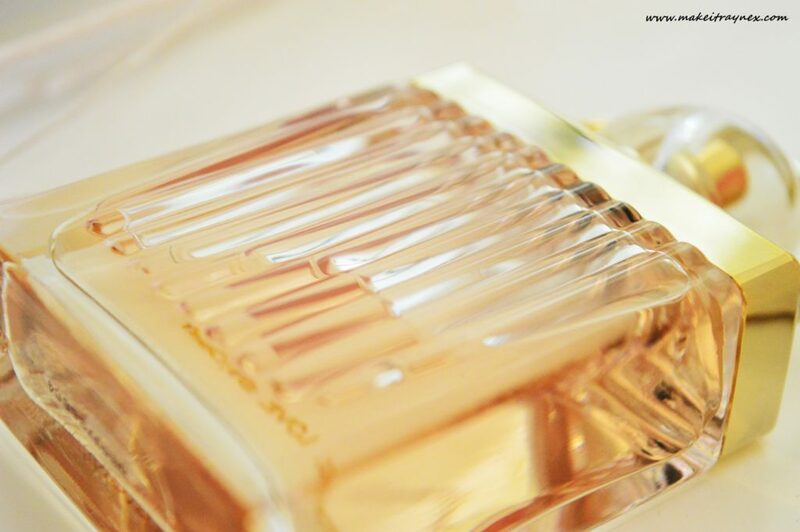 Love Story Eau Sensuelle is definitely one of those scents that catches your eye with the bottle, before you even spritz some on. The theme of the packaging is off white and blush pink, with a touch of coral. The rippled glass is transparent with the bow around the neck being the same blush pink. The more you look over the bottle, the more little details you notice. It is an absolutely exquisite bottle in more ways than one. 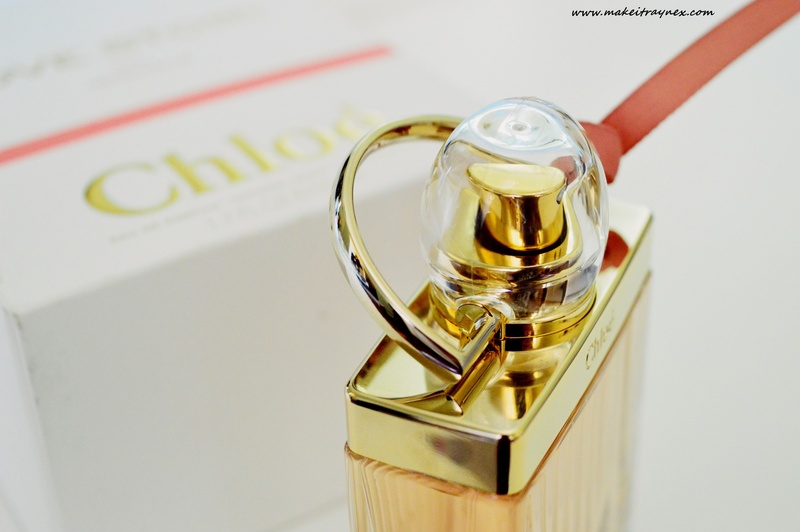 The original Chloe bottle was actually designed to resemble a padlock. More specifically, one of the thousands of locks that has been left on the iconic Pont des Arts over the years by lovers. The Love Story Eau Sensuelle, however, was designed to represent the setting sun. Moving on to the scent itself. Upon spraying, I immediately smell a very powdery fragrance. Once I read through the note list, I could pin point the scents of the musk, amber and cedar very distinctly. All three of these are base notes, with yuzu, lemon, sandalwood and pear being top and base notes. As I am typing this, I can very much still smell the pear when I envision the scent. It adds to that sweet and powdery smell I mentioned earlier. Chloé unveils a new sense of femininity and sensuality. This unique eau de parfum combines refinement and delight. Created by two women, Anne Flipo (who created Love Story Eau de Parfum and Love Story, Eau de Toilette) and Domitille Bertier, this original fragrance reveals a new facet of the line’s signature scent of orange blossom. Blended with sunny notes, almost vanilla of heliotrope, the orange blossom is sweeter and more romantic than ever. Its sensuality is sublimated by a sandalwood chord. Velvety and slightly milky, it gives depth to this elegant fragrance. A new olfactory poetry. A new love story seen through Chloé’s eyes. There are two Chloé scents before this one. I find all three to be similar with varying lasting effect. While I don’t own the other two, I have tested them before. 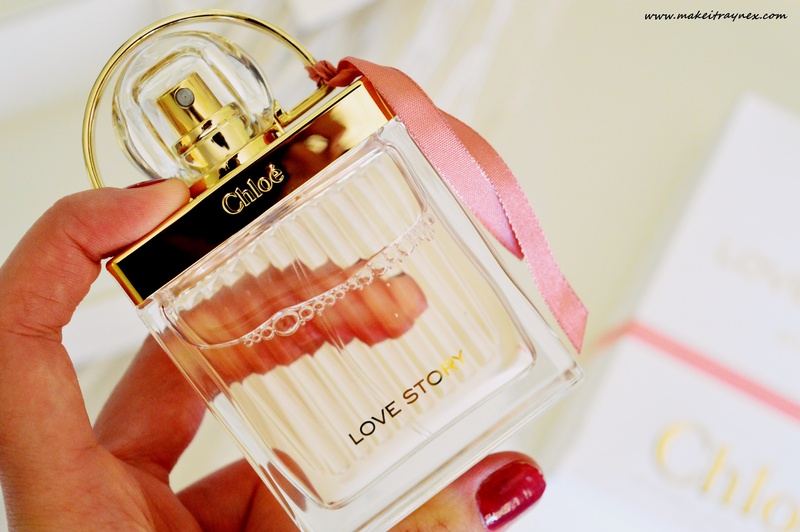 I have seen this Love Story Eau Sensuelle described online as “a warmer version of the EDT, and more fun!”. Right after that I am seeing ladies describing it as “a definite departure from the previous two scents”. Therefore I would say this is definitely one that you need to test out yourself! Furthermore, this has definitely become one of my current day time choices. I find it lasts throughout an entire workday. If you plan on going out after work you may need an extra spritz or two to spruce the scent up again. Thankfully it does not have that “bruised fruit” scent that I have mentioned in previous fragrance reviews! Let me know in the comments below; do you own this perfume? Are you contemplating purchasing it?